People called us liars & much more way back when we broke the COTA hotel booking scheme story. They were wrong. 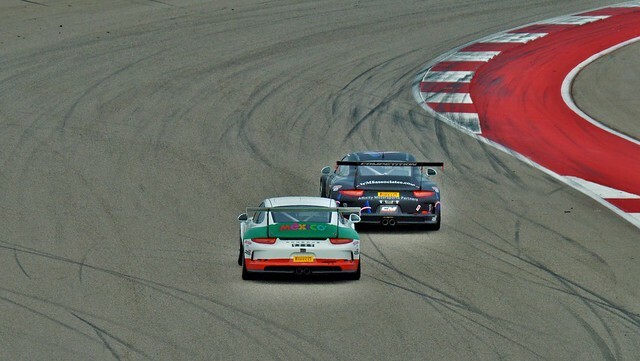 "Hotel owner sues Circuit of the Americas over hotel rooms" (for about $59,000). "In November 2013, Plaintiff contacted COTA to request payment for the canceled rooms and COTA responded that it would not pay the amounts owed and that COTA had "lawyers in tall buildings" to fight it. I wish I could say I was surprised at COTA's response. I'm not. Does not seems promising at all for the future. Edited by ollebompa, 24 April 2014 - 11:57. So when does COTA go under and the track becomes an abandoned relic of the past? IF it goes under, the creditors will look to get as much of their money back as they can. That means that someone has to see a money-making opportunity, maybe running a circuit, maybe something else. The advantage of continuing as a circuit is that all the infrastructure exists, just kick out the bad management, and get on with business. No capital investment required, and the purchase price will be a heavy discount on the equity+debt of the current owners, so the business should be less debt ridden and therefore less of an interest bill. Yep. & demolition would cost more than it would be worth to rehabilitate the land. We have a great race track. It just needs good management and a good business model. I've actually heard that they haven't been paying their employees. My wife works with a few people that also work at COTA part time on the race weekends... I head some of them hadn't yet been paid for working the F1 race in November! I've had the chance to meet some of their new management a few times. They seemed nice and were definitely embracing renting the track out for track days... I guess they are a little more motivated now that they need the cash. The good news is the track is already there and it is fantastic whether or not the current owners figure out how to run it or they go bankrupt and someone else does a better job there is a future for the track. The events calender doesn't look exactly packed. Is there more going on than they have shown on their web site? No. Not really. Yet they claimed just the other day that they host more than 200 events a year. 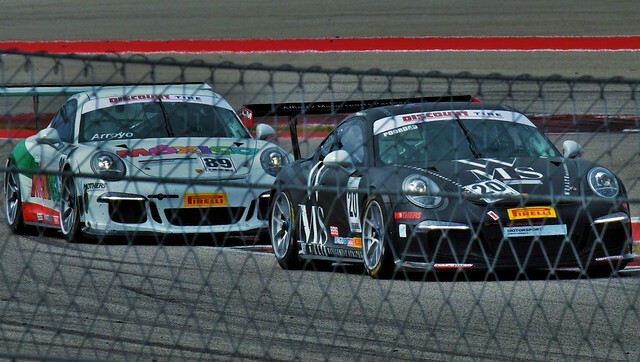 COTA has quickly transformed into a venue that hosts more than 200 events per year, said Jason Dial, who took over as CEO of the racetrack in October. 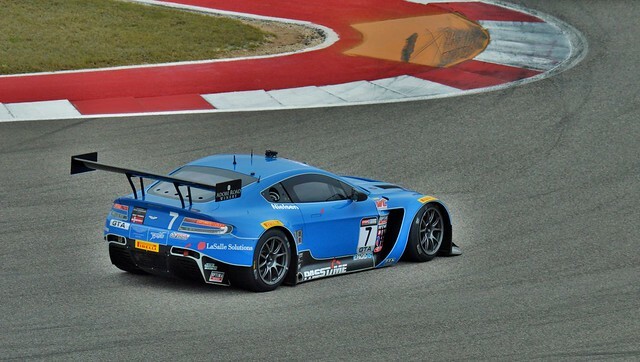 Including the SVRA & SCCA events,I think there have been 9 race events and 30 or fewer race event days at COTA. Ever. Have there been 170 concerts + track days + misc events even in the entire history of the track? Doubtful. They have 3 races and 7 other events remaining on their 2014 calendar. 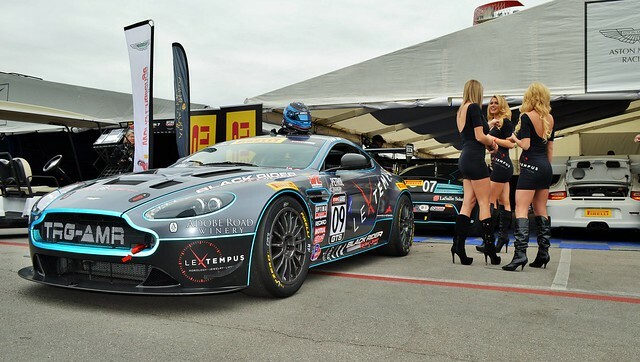 Track days cost $55K a day, so they have a hard time selling those. There are concerts at the amphitheater, and there have been a couple of events like fun runs and commercial events using the conference rooms. But they've run off V8SC, SCCAs, & much of the other racing, seemingly tried to run off WEC, and there really isn't much else going on out there. All that's left on the racing calendar is MotoGP, F1, Tudor/WEC, and a very good but very poorly attended vintage event. There's the X Games in June, which seems to be hanging on by the skin of its teeth & looks like has been ruled out by the Attorney General in terms of eligibility for METF subsidy money to the circuit. According to the Texas Comptroller's Office, COTA has received $61.2 million in reimbursements from the State of Texas's events trust fund. 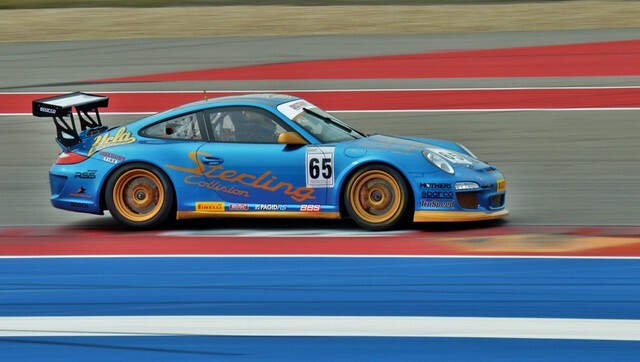 The world-class facility has claimed COTA-hosted events are projected to generate an annual economic impact of $400 million to $500 million, equating to $4 billion to $5 billion over 10 years for Texas. Now two years have passed, is the track living up to its promise? "We are filling out our calendar with things that bring large crowds," said COTA spokesperson Julie Loignon. So far there are 200 events scheduled. That includes F1 which brings in $500 million alone every year. And the newcomer X Games is expected to rake in $50 million yearly. "We are in the second year for most of the races we are doing. X games is brand new. Redfest a country festival and a comedy festival is new this year," said Loignon. The challenge COTA face now, Loignon says, is making the international events more popular in the U.S. "Our job is to try to make sure that U.S. fans of sports entertainment know that these things are going on. They are every bit exciting as the races we've grown up watching," said Loignon. But with 80 percent of the F1 attendees being from outside of Texas, it only helps push money into hotels and local shops. Success or not? We will have to wait and see. This weekend's MotoGP is just the first of several major events on the track's calendar this year. Redfest is May23-25, X Games June 5-8 and F1 USGP Oct 31-Nov 2. And F1 brings in $500M for each GP, and 80% of attendees are from out of state? No WAY. Not even close on either count. I'm a huge F1 fan and fan of road racing in general, and I love that we have this world-class facility right in our back yard, but I just can't stomach all this nonsense being perpetuated to abuse a subsidy program. Hard to believe they can actually say some of these things with a straight face. Edited by AustinF1, 25 April 2014 - 19:21. Did Hellmund ever get his money from these guys? He is the one with the moral rights to the project. A bit unfair really, it's one of the better new circuits. They make way more on the concert series than on the racing. They could not use the track at all and still make enough from the concert venue to pay for it all. Both McCombs and Epstein have well deserved reputations for being ruthless, aggressive, some say predatory business people. They don't do things on a whim and it's likely planned. They do what suits their businesses not necessarily what anyone else might think is right. the hotel thing is a drop in the bucket comparatively for those guys. From what I gather the turnover at any of the companies either of those gents have started could be seen as higher than normal. It's my understanding that particularly with Epstein it's difficult to work for them regardless of the venture. They settled a couple of years ago. Schwantz and the track settled just recently, prior to the MotoGP event with Schwantz being named to a position to promote MotoGP with COTA. Unfortunately for ol' Tavo having moral rights and having money aren't the same thing. I understand that Hellmund was well out of his element in a project of this scope which was one of the things that lead to his exit/ousting from the company. It's too bad, he seemed like a nice enough guy and at least gave it a human face. They settled. I don;t know how much money he got or if he ever got paid. I agree with almost all of this...except the part about them making enough from the concerts to pay for the place. By all accounts we've heard, they have more than $400M sunk in the place, much of it likely financed at high rates. Hellmund's original reported target was the $200M range, but he was kicked out fairly early on while Epstein & McCombs dragged their feet for months in paying Bernie, thus putting the project behind schedule & increasing construction costs in catch-up mode. They also added things like the amphitheater & tower to the project. We also hear that while the concerts often turn a profit, they don't turn so much of a profit as to come even close to paying the bills, which are apparently considerable. Edited by AustinF1, 26 April 2014 - 02:56. From what I understand, Tavo brought the USGP to the States. Without that, the track never gets built. He gave Epstein & McCombs 75% of his project in return for financing it. He worked out the sweetheart deal with Bernie, reportedly with a better than average sanctioning fee & no escalator.In return, they just voided the FOM contract, renegotiated with Bernie, and took the whole thing from him. Seems he had a good contract with these guys and apparently they simply chose not to honor it, all the while doing their damndest to hold him to his end regardless & telling him to take them to court if he didn't like it. Seems like a pattern. Edited by AustinF1, 26 April 2014 - 02:52. But they own the land, he's pressuring the country to lower the property taxes and I understand now the country is on the hook for the road improvements to the venue. It's not going to be a short term payback but there are enough assets and there is enough value in the venue as a host of things other than a GP that can keep them cash flow positive. They aren't going to let anything happen to the land, that's still the largest asset. Between the combined assets of both guys this place is going to be around for awhile particularly if they can keep getting METF money. My understanding of the Hellmund's involvement was that he didn't have enough experience in large scale project and asset management and when push came to shove to get the race contracts rights to the race signed over to COTA he overplayed his hand and they stopped construction and went to Ecclestone and got their own deal. Hellmund didn't have the experience dealing with people or business environments that are operated the way the principals control the track. Ecclestone could have stipulated Hellmund have a role but he threw him overboard as well. It' pretty clear no one was showing him any love and he wasn't bringing enough to the party at that point to even get Eccelestone to stick up for him. He was simply out gunned in the business. It's unfortunate and I'm not condoning those sorts of dealings but those boys play big time rough and tumble business. If you can't hang with them they'll mow you down. Just like what happened to Tavo. Edited by loki, 26 April 2014 - 02:55. The land Epstein owned before the project came to him is less than 1/4 of the total property now & much of it is in a flood plain. It's really not worth all that much, relatively speaking, on its own. It doesn't paint a pretty picture. Re: the rights. It seems they wanted him to assign them the rights without compensation so they could use them to attract investment...when the only reason they were even given a share in the first place was that they were to provide financing. From what we hear, they aren't in it for all that much in the big picture. It's the other guys that will get screwed when it all comes tumbling down. But the track is there & I don;t think it's going anywhere anytime soon, regardless of what happens downtown. That's the good thing. Edited by AustinF1, 26 April 2014 - 03:32. The property is worth more to Live Nation than it is to perhaps anyone else. They already hold the booking rights and do 15-20 shows there a season now. For years the industry has been looking at getting a world class "shed" in Austin and now that there is one. They may have seen building the track as a way to get the venue. I don't know how long you've been in Central TX or if you are familiar with McCombs prior to this but in the scope of what he's done over the last 50 years or so this is pretty tame in comparison to most of his other ventures. Have a look at his time building Clear Channel, (who part of is now conveniently enough is Live Nation) or the auto businesses or his interest in the NFL Vikings and you'll find a common denominator. Lawyers. Lots of them. And many times it's not a pretty picture to the outsiders but the guys at the top know what they want and how to get it. I'd agree though that they aren't in it for the big picture of racing. I'm sure there is an exit strategy and having the race and the circuit is likely means to and end rather than the end goal being about a race track and races. Yep. All possible, and I haven't heard much good about McCombs or Epstein. The world is full of good circuits run by crooks and idiots. 3 months before USGP, COTA hires new concessionaire. Is Sodexo out? The 1%'ers have no clue. But for me, the hotel situation is/was the capper. Having a race in the states should mean it's cheaper somehow for people in the states to see the race. As it is, it's effectively about the same to go to Montreal for me as Austin, which is ridiculous. The location in the middle of the U.S. is sorta saying you don't want people from the west or east coast. I would drive there - from the east coast - except the hotel prices there make it impossible. Indy had cheap ticket prices, with general admission you could see a lot - unimpeded views, you could sit where you wanted on friday and saturday, and hotels were to be found for a whole lot less than $100 a night. Indy was a 1 day drive away, Austin 2 days. Hotels may be cheaper this year - for the same reason I'm not enthused about journeying there to see ugly cars that sound like vacuum cleaners from probably dubious sight lines. General admission at Montreal was a downer, not only could you not see anything being GA riff raff you were not allowed into what I guess is the Rich People's half of the track? It looks like general admission at Austin *might* be better - but maybe not? Offset by the spectacle being ruined - having to seeing the race through a fence with concert-festival like cattle conditions for a lot of money = "no thanks". V8 Supercars has officially confirmed that it will not be returning to the Circuit of the Americas in 2015. The event’s fate has been widely known for some months, leaving New Zealand to remain as V8 Supercars’ only international race. 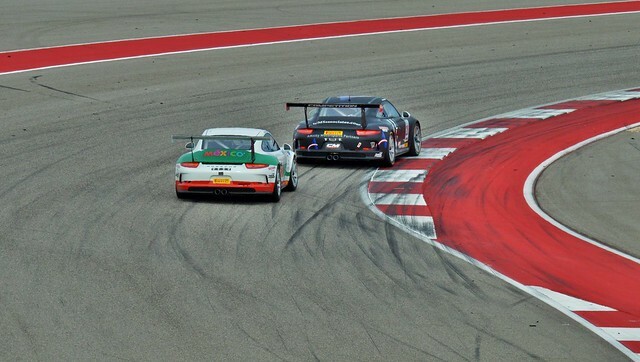 Having visited the Austin, Texas, venue for the first time in 2013, the COTA requested a pausing of its five-year contract for this season. 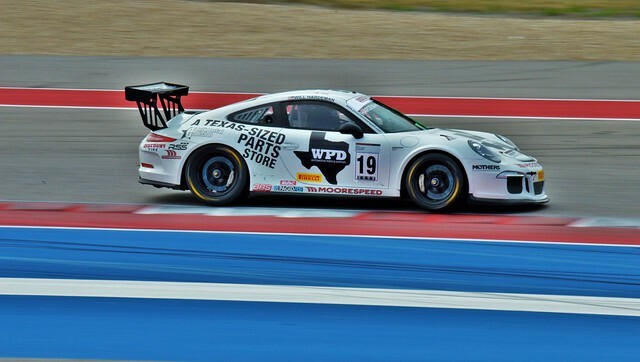 V8 Supercars spent the intervening time attempting to find a second event in the United States in which the COTA could share the championship’s transport costs. The inaugural Austin event’s air freight is understood to have been V8 Supercars’ most expensive offshore trip to date, with the promoter needing to foot the near $2.5 million freight bill in addition to the category’s sanctioning fee. “We had an existing contract with Circuit of the Americas, we’ve terminated that contract, so that’s off the table,” CEO James Warburton confirmed on the V8 Supercars website. The 2013 Austin 400 was dominated by Jamie Whincup, who took three of the four race wins across the weekend. The success extended Whincup’s extraordinary record at international events, with the Triple Eight star having won 14 of the last 16 races held outside Australasia, stretching back to Bahrain, 2008. As previously reported, V8 Supercars is now focussed on a push into the Asian market for its 2016 calendar. the problem cited in the Express-News story appears to be a technicality-based argument that claims, in essence, that the proper legal application for the money – which includes data supplied to and by Formula One chief Bernie Ecclestone – may not have been in compliance with Texas regulations. An attorney for the state comptroller’s office, which is most directly responsible for administering the funds, said that even if a proper written application was not made, it is possible that “the application to Formula One Management Limited was oral, not written, so that a public information request would not elicit a copy,” which would seem to raise a whole new area of concern, if paperwork is not required for portions of a request that could result in millions of taxpayer dollars spent. The story said that neither Ecclestone, nor Bobby Epstein, head of COTA, has responded to requests for interviews. The track’s public relations officer resigned in June, and her replacement resigned in September, so Motorsport.com hasn’t been able to contact the track for a statement. 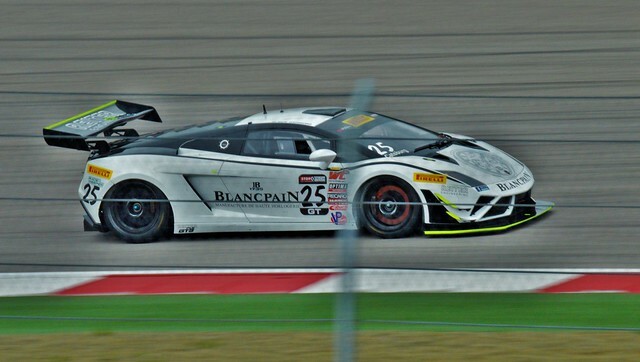 Motorsport.com did contact Tavo Hellmund, who created and developed the project until he departed following disagreements with Epstein and other investors, but he declined to comment. The $250 million sited in the story’s headlines is what could be paid by the state over a 10-year-period. Reportedly COTA has received at least $60 million from the Special Events Trust Fund, and from a separate fund for smaller events. 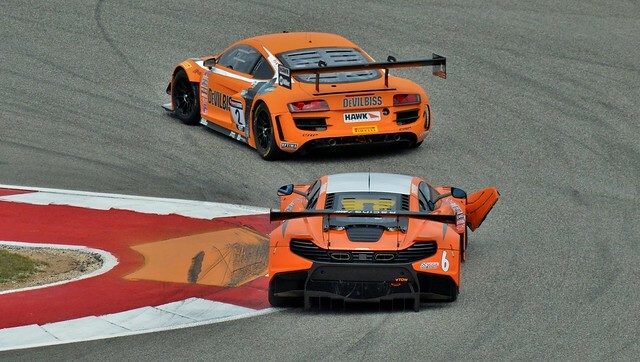 COTA has the TUDOR United Sports Car Championship and World Endurance Championship races next weekend, SVRA vintage races October 10-12, and Formula One returns on November 2. 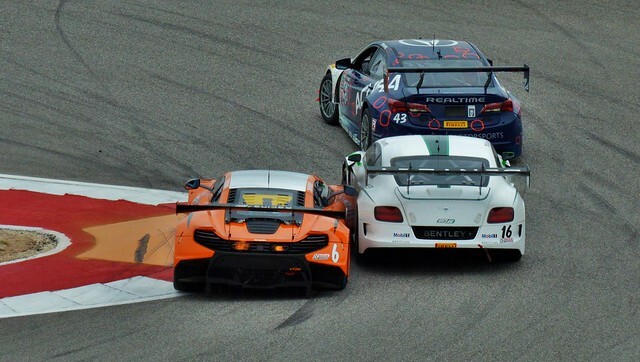 Trouble at COTA? They have a name for that in Austin. It's called a weekday... Though this one doesn't directly involve the principals of the circuit. It's between two elected officials and the power distribution of those positions. It may though have implications on the event. This isn't so much about the race or even the circuit as it is a political battle between the land comissioner and the comptroller's office. It revolves around the definition of "bid" in the context of the application. In comments in the Express article a post purported to be Jerry Patterson, the land commissioner states as much. In fact he indicates that the event may likely be a good thing for the locals. The posts are seemingly confirmed by the author of the original article when Pastterson claims he was misrepresented. General Counsel" is supposed to be a competent attorney that knows the law and counsels the #1 person in a corporation or agency. This GC would actually ask us to believe that you can VERBALLY apply for $1/4 billion of tax money! Candidly, I think F1 might actually be a good thing, and generate a boatload of revenue for local governments and the state. Nonetheless, elected officials are bound by the law, just like everybody else. The story has one error, and its significant, at least to me. My intention was not to support or oppose funding for F-1. My intention was to expose the fact that the Comptroller completely ignored the statute, and then tried to hide that fact. But it's not an error, as pointed out by the author. It's a statement of fact. Patterson did indeed try to block the funding of the event. It's a matter of public record. Now Patterson is trying to separate the event from what he claims is a proceedural issue. The irony of Patterson's comment is that he's using the same sort of nuance to defend himself as he is accusing the comptroller of acting in appropriately. This is a political power play more than a statement of the event. Worse thing that happens is they lose the ETF money and McCombs and Epstein decide to file a Chapter 11, liquidate the assets and void the FOM contract. Pretty standard stuff in the US. They could then pivot and either sell the parcel outright to LIve Nation or lease it to them and not operate the track. Red and Bobby are a lot better at manuvering the US legal system than FOM. They have quite a bit of experience. Edited by loki, 15 September 2014 - 18:13. He tried to block it because the correct procedure apparently wasn't being followed. He's been consistent on that. Despite thinking the race is a good thing for the area, he says they still need to follow state law. I agree on both counts. The race is good for the area, and they need to follow state law in applying for 10s of Millions of taxpayer $$. Patterson previously asked the AG to rule on it. The AG came back and basically said he couldn't make a ruling. He didn't say they had done it right. Just as Patterson said back then, he's saying now that COTA was never eligible because there apparently was never any application by CELOC to FOM. If true, he's right. It's not as simple as it being just a territorial spat. Combs is retiring...and then there's the affidavit from the ex-CELOC board member...and Ford Smith's comments. Not sure he realized what he was stepping in. Then just kept on stepping in it. ...and BTW you have the order of Patterson's posts reversed. I hope they don't go broke, but I doubt it would be all that simple to unload the place and get any amount of money even close to what they've sunk into it. Edited by AustinF1, 15 September 2014 - 19:17. Might be worth biting the bullet and flying down for Interlagos? Bet the hotels are a hell of a lot cheaper than Austin or Montreal, and the sightlines are legendary. "The Comptroller’s office should not be on the front-end of deals such as Formula 1. If the watchdog is the dealmaker, he can no longer be impartial. This is a well known business practice,” Collier said, in a statement posted to his website. In a written statement, state Sen. Glenn Hegar, the Republican and front-runner in the Comptroller’s race, said: “If the state is going to operate these types of programs they must be transparent and provide accountability to the taxpayers” and pointed to his support of a bill last session which made some reforms to the program. He did not comment on the specifics of the paper’s investigation or state he would seek any further changes to the METF program. The money is paid to the Circuit Events Local Organizing Committee, a non-profit that essentially acts as the city of Austin’s agent in the Major Events Trust Fund process: It is supposed to apply to the site selection committee (in this case, Formula One), making a bid to bring the event to Austin as part of a competitive process. If CELOC’s bid wins the event, the non-profit then applies to the Comptroller’s Office for funding. However, an affidavit signed by a former CELOC board member, obtained by the Express-News, states that CELOC never made the required application to Formula One, even though it claimed it had in its application to the Comptroller’s Office. That statement was buttressed by other documents obtained by the paper, which showed that the CELOC board never voted to submit an application to Formula One and that the board never discussed submitting an application. Attorney General Greg Abbott ruled in 2012 that the application was an essential part of the process and that if it is not completed, the event would be ineligible for funding from the METF. The Express-News investigation found that both Comptroller Susan Combs and Abbott’s offices were aware of the affidavit’s contents: but money has continued to flow to CELOC; and an assistant attorney general wrote in a letter that the Comptroller’s office had little responsibility to investigate the affidavit’s statements. Edited by AustinF1, 16 September 2014 - 08:50. Changing the process sounds reasonable though I see other issues with it. Compared to the model they use in Vegas and other cities the TX process is marred in bureaucratic papaerwork and not streamlined. If they don't think an event is worthy of funding they shouldn't do it. In Clark County it's done by an independent agency that is funded with room and entertainment tax revenue. There is a process but it's relatively easy compared to how they do it in Texas. Most events without a record would have to have at least one event before being considered but there are some that can get funding for the first event. For example the Electric Daisy Carnival didn't get (or even request as far as I know) any funding from LVCA for the first year. After that there was a partnership which greatly expanded the scope and reach of the event to places other than just the festival grounds at LVMS. OTOH, an event like NASCAR, the NBA All Star or scrimmages are universally accepted. There is a significant difference though in how the money from LVCVA is applied. It couldn't go to the sanctioning fee for the event. It's used for services (police, fire, medical), promotion including TV, Internet, radio as well as fast track and waivers for some types of permits. Those types of programs are good ways to supplement the funding of events and draw events to the area. And we do more of it here, on a larger scale than anywhere else in the world. That sounds more like how a true event fund should run. This one seems more like just a back door into taxpayer funds. The kind of back door where you slip the bouncer a 20 and you're good to go loot the place. This controversy isn't the first involving this fund. It's just the first for such a high profile event that repeats annually. I personally have no problem with the concept of the fund. I just want it to be administered correctly. “I feel confident I have complied with the law,” Comptroller Susan Combs said two years ago, as we launched our investigation into the state funding of F1. Now, with two races down, and million dollars of your taxpayer money already paid to the massive racing event – questions still linger about the legality of the process. To keep this latest controversy simple: Should F1 be eligible for the funding since it might never have submitted a written application? The state has previously said the racing event is eligible for up to $250 million over a decade, part of a select incentive from a fund used to attract major economic boosting events like the Final Four and the Super Bowl. There are new reports of allegations that the application for F1 was only verbal, not written and that might not have been in compliance with the law. 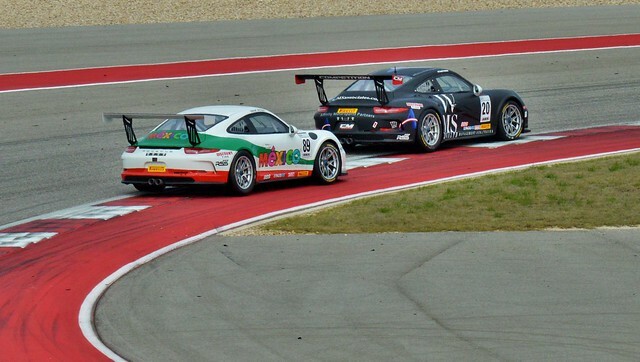 KXAN Investigator Brian Collister pointed that allegation out to head of COTA – Bobby Epstein – who helped bring the race to Austin. We checked records at the Comptroller’s office, so far, F1 has received about $50 million from the state and about $10 million from local incentives – all through this controversial process. We reached out to both candidates. Soon after, Collier said he would try to move the fund outside the Comptroller’s office, so he could be more of a watch dog. “We know in business you want complete separation from the people who authorize payments from people who sign checks,” he said. Edited by AustinF1, 16 September 2014 - 22:09. My understanding of how the race came to get the funds was that the state was going to tally the tax take and base the reimbursement on that number and not the projections. The reimbursement was just short of US$30 mil for the first year. It also appears, as noted in the comptroller's press release all subsequent payments will also be audited prior to disbursement to insure the amount is justified. I don't see how that's a "backdoor" to "taxpayer funds". The funding is from taxes, based on the event's draw and not as an advance but as an accounting of the impact. i haven't seen anyone arguing the numbers, only the fact that they didn't think the event was given access to the fund program properly. That's not how it works. The amount of funding is determined prior to the event through the use of an algorithm and based on COTA's own economic impact projections which are in turn based on COTA's own attendance projections. After the event, the Comptroller is supposed to do a comprehensive analysis within 10 months to determine if the amounts were justified.The time limit was previously 18 months, but within the last year or so iirc, it was reduced by the legislature to 10. The comptroller's analyses have ok'd all the amounts funded to COTA so far, despite them not having lived up to projections even one time. I don't know about other events, but for the 2012 USGP, the attendance figure she quoted was sourced directly from COTA. I'm guessing you were referring to this passage. as is the case with all METF events, each application will be reviewed and analyzed for its likely economic impact and only after the race occurs would any funds be disbursed. If an METF application is submitted, it will be thoroughly vetted and economic impact data scrutinized based on the actual circumstances for that event. It doesn't say in there that anything will be audited prior to disbursement. What she's describing there in general terms is the pre-event analysis of the event's own application and economic impact projections ("as is the case with all METF events, each application will be reviewed and analyzed for its likely economic impact "). That's how they come up with the amount of the subsidy. Then, within 10 months after the event, the event must be reviewed/analysed to see if the actual numbers justify the amount of subsidy that has already been awarded ("economic impact data scrutinized based on the actual circumstances for that event"). These subsidies have been awarded quickly after the events, but the analyses are slow to arrive for some reason. The analysis of the 2012 race wasn't completed until September 2013, almost a year after the payment was made. The analysis of the 2013 race still isn't complete as far as I know, despite the new 10-month deadline. To be clear, back when we helped COTA rally grass-roots support to gain approval for the METF subsidy, my understanding of it was that upon post-event analysis, any shortfalls relative to the economic impact projections would have to be paid back in one form or another. That's what we read and is what we were told, but it does not appear to have ever happened with any subsidized event. It made great sense to me. I have no idea why it has ever been done the way it's actually done. They should simply award approved events a subsidy amount based on a post-event analysis, but then that would leave less wiggle room. It makes you wonder why the event is even given input in the form of projections that will affect the amount of their compensation. Edited by AustinF1, 17 September 2014 - 06:37. Bobby Epstein, chairman of the Circuit of the Americas racetrack, has told a TV station that a “verbal application” was made to Formula One to bring a yearly race to the Austin facility. The comment Monday came the day after a San Antonio Express-News investigation raised questions about the application, which is required by law to receive state funding. A member of the board set up to file the application swore in an affidavit that board never did so, and no written application is on file with the state or the board. Failure to make an application would make the Formula One races ineligible for state subsidies — which are expected to cost $250 million over 10 years — according to a 2012 ruling by Attorney General Greg Abbott. Failure to file such a document would make the Formula One races ineligible for state subsidies — which were approved to the tune of $250 million over 10 years — according to a 2012 ruling by Attorney General Greg Abbott. “Dominos doesn't just send a pizza to your home unless you call them to say you're interested in having one delivered — neither does a Grand Prix just show up,” Epstein told KXAN-TV. That answer didn't satisfy two government watchdog groups, Public Citizen and Texans for Public Justice. Andrew Wheat, Texans for Public Justice's research director, was just as harsh. Epstein did not respond to questions from the Express-News about the verbal application. He continued, “I do know that” the “statute doesn't distinguish between written and verbal” when it comes to applying to Formula One. In its 2012 request for the first $25 million installment of the state money, CELOC included a letter from Formula One Management Ltd. CEO Bernie Ecclestone, stating the organizing committee had submitted the required application to Formula One, which the company had approved. But former CELOC board member Stephanie Richmond said in a sworn affidavit that CELOC never applied to Formula One. She was one of two CELOC board members who left the committee after it made its request in 2012 for the first $25 million installment of funding from the comptroller's office, which releases the money under the Major Events Trust Fund. The second member, Anne Smalling, wrote in her resignation letter that she was concerned about claims the group was making in its request for state funding. Smalling specifically said Ecclestone's letter was one of the reasons for her departure. Additionally, CELOC board agendas and minutes, obtained under the state's open records act, show there was never a vote to submit an application to Formula One or even discussion about it. 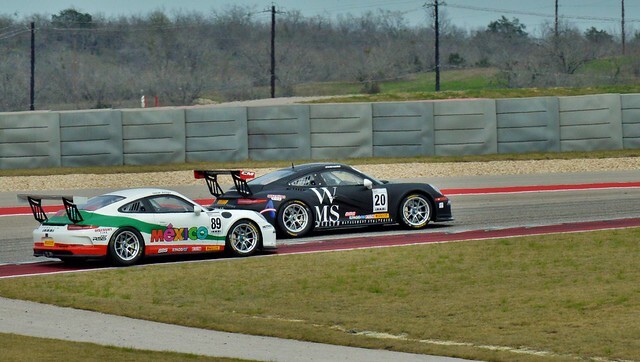 The track's chairman and major investor, Bobby Epstein, made a similar claim to KXAN-TV on Monday. The “verbal application” claims follow a San Antonio Express-News story that raised questions about whether that application was ever completed. Failure to do so would make Formula One ineligible for state funding, Attorney General Greg Abbott ruled in 2012. The state has provided $50 million to support the two races held so far. The subsidies are expected to total $250 million over a decade. The next U.S. Grand Prix is scheduled for Nov. 2. Under state law, to qualify for funding, the application to Formula One could come only from one of three places: the city of Austin, Travis County or the Circuit Events Local Organizing Committee. The briefing came after Bernie Ecclestone, CEO of Formula One Management Ltd., sent a letter dated May 11, 2011, that said Austin had been selected on the basis of an application. He did not identify who made the application. At that briefing, city officials repeatedly said Austin had no involvement in that application process, archived video shows. Ecclestone's letter also predated the creation of CELOC, which was incorporated May 31, 2011, according to Secretary of State records. And Travis County Judge Sam Biscoe said the county never submitted an application. Ecclestone wrote another letter, dated July 10, 2012, which stated that CELOC had submitted an application to bring the racing series to Austin, which Formula One had approved. CELOC used that letter in its application for the first $25 million installment in state funding in 2012 as proof it had filed the application. But Ecclestone's letter was disputed by former CELOC board member Stephanie Richmond, who said in a sworn affidavit that CELOC had never filed an application with Formula One. She was one of two board members who stepped down from the CELOC board, following the group's application to the comptroller's office. The second, Anne Smalling, wrote in her resignation letter that she was “troubled” by claims in Ecclestone's 2012 letter. Additionally, CELOC board agendas and minutes, obtained under the state's open-records act, show that there was never a vote to submit an application to Formula One or even discussion about it. In the rush to bring Formula One car racing to Texas, Comptroller Susan Combs failed a crucial player: the public. This has been a hallmark of her tenure as comptroller, one that has reflected a lack of core competencies in some very big ways (such as accurately forecasting revenues). Her eagerness to make a deal on Formula One racing also raises ethical concerns about having the state's fiscal gatekeeper push deals. ...event organizers for Formula One racing botched the process to qualify for state funding — and still received it. But not following a clear public process raises a number of technical and governance concerns. First off, it calls into question the $250 million Texas has committed to Formula One racing via the Major Events Trust Fund, which Combs oversees. The state has already provided Formula One with $50 million from this fund for its 2012 and 2013 races. Watson carried the bill to make Formula One eligible for state funding. Mike Collier, a Democrat running for comptroller, has said the Major Events Trust Fund should be moved to a different agency. We agree. It makes no sense to have the comptroller making deals. And yet that's just what Combs was doing. Latest COTA defection...now Marketing Manager Rodrigo Sanchez has left to become Director of Marketing for the Mexican GP. 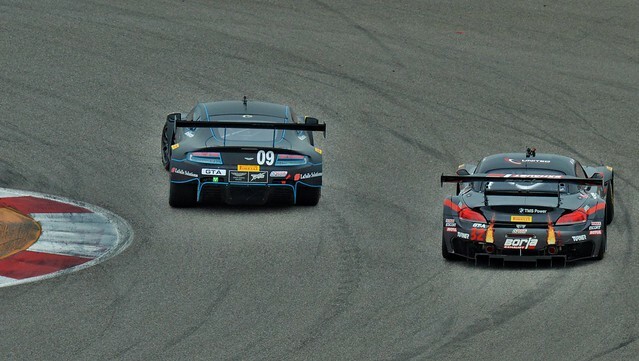 Finally, some new racing at COTA. Will the Mexican GP (the following week) & a move away from the Halloween date boost declining USGP attendance? Edited by AustinF1, 17 December 2014 - 09:46. Looks like they went up to me. $700 per seat to sit in the upper zone of 15 seems like a non-deal. I haven't checked the rest, but the East side tickets (T3, 4, 5, 9, 11) went up again despite being way undersold every year so far. Crazy. I guess I don't get it. Edited by AustinF1, 17 December 2014 - 19:41. The driver of car #89 on shots #0434 through #0441 sure took an enterprising line through those turns. Is photo #0608 the reason car #6 had damage at the front? That seems like it wasn't quite what #16 was expecting. As a aside; is there a reason the track around the cars seems brighter than that further away? Edited by Nonesuch, 09 March 2015 - 18:38. Re: that brightness issue, I'm not sure. It seems to be something in my photo editor. I think I'll have to try a new one. The photos also came out darker after uploading to Flickr than they were in the editor. Weird. A little disappointed in that. Re: photo 606, yes, I think that's where the damage came from, though I didn't initially see the part come loose as the cars turned, hiding that bit from my view ... so it could have happened later. Edited by AustinF1, 09 March 2015 - 18:53.